Were you, for some reason, looking forward to the console release of Elder Scrolls Online in June? Even after hearing people's middling opinions of the PC version? Even knowing you'd not only have to pay for your typical Xbox Live or PlayStation Plus subscription, but also the monthly subscription fee for the game itself? Well, mythical person, prepare yourself for bad news: Bethesda Softworks announced today it needs an additional six months of development on the console version, setting the game up for a launch this holiday. "We are still working to solve a series of unique problems specific to those platforms," wrote Bethesda in its announcement. "Integrating our systems with each console manufacturer's networks--which are both different from the PC/Mac system as well as different from each other--has been a challenging process." As a compromise, Bethesda worked out a character migration system with Microsoft and Sony. "Via a special offer, anyone who purchases and plays the PC/Mac version of The Elder Scrolls Online by the end of June will have the opportunity to transfer their character(s) to either console version when they are released." You'll still have to buy a console copy of the game in this scenario, but Bethesda is offering qualified subscribers a discounted $20 copy instead of forcing them to pay the full $60 twice. And that $20 version includes another free thirty days of game time, so you'll almost break even. That's assuming, of course, that Elder Scrolls Online is still a subscription-based game by the time it launches on consoles. There's been rampant speculation the game will go free-to-play eventually, similar to The Old Republic and countless other MMOs-not-named-World-of-Warcraft over the years. 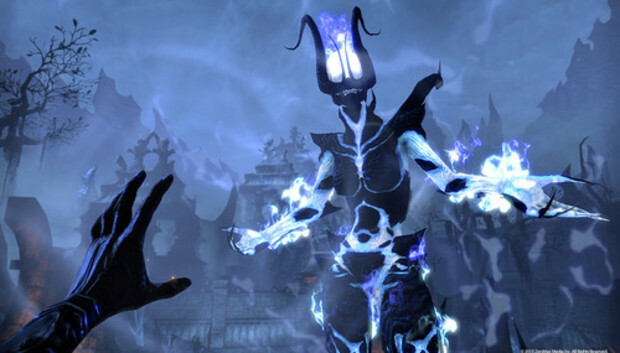 Elder Scrolls Online is especially curious because it already includes microtransactions. Bethesda basically double-dipped with a free-to-play game system that has a subscription slapped on top, so I assume it wouldn't be too hard for them to strip out the subscription and leave the microtransactions intact. Time will tell. Are 'sexting' and 'cyberbullying' worse than offline versions? Saatchi Gallery: Is a Rembrandt self-portrait in a digital screen really a selfie? Anonymity app: A safe place to be ourselves?